Do you associate the Jiaoyue lamp with Ambilight? It was the first product that had a double light source. 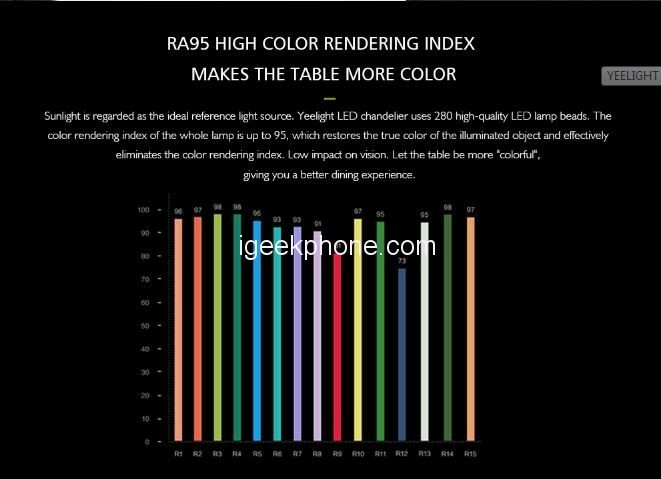 One, the main powerful one that can be adjusted between the color temperature of cold-warm light and the second weaker RGB with 16 million colors to arrange the right mood. Yeelight Meteorite also has two light sources, 12 RGB LEDs with 7W power are responsible for the colorful light on the ceiling. You can change the color using the Yeelight / Mi Home app, scenes with other devices or a voice assistant, including Siri from Apple. It is also possible to control the lamp using the Yeelight remote control but it is missing in the set, you have to buy separately. The remote control only supports the main light, it can not be controlled with colored light on the ceiling. 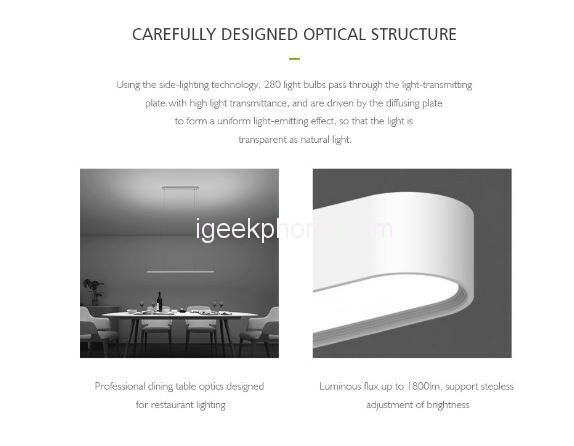 The Xiaomi YEELIGHT Meteorite LED Smart Dinner Pendant Lights is currently available on Gearbest for $169.99 to use coupon code: GBLED911801 with 96 pieces left. Hurry up before it gets exhausted.